Renowned Stanford University psychologist, who spent decades researching achievement and success, says that when it comes to growing, people either have a “growth mindset” or a “fixed mindset,” and from the looks of last month’s NAWBO survey, women business owners are definitely in a “growth” state of mind. In fact, the largest percentage are planning to launch a new product. 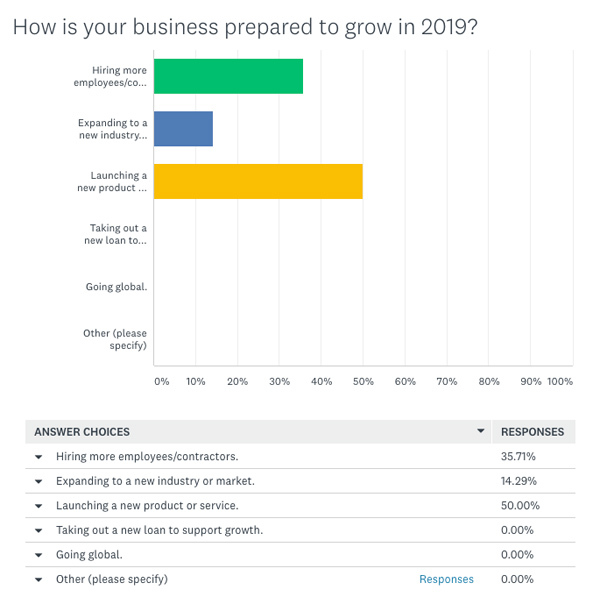 Check and this and other ways our community of women plan to grow in 2019!